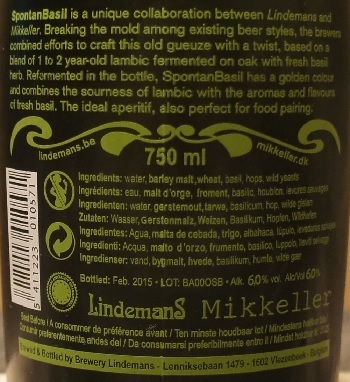 Brewer Description: (from bottle) SpontanBasil is a unique collaboration between Lindemans and Mikkeller. Breaking the mold among existing beer styles, the brewers combined efforts to craft this old gueuze with a twist, based on a blend of 1 to 2 year-old lambic fermented on oak with fresh basil herb. 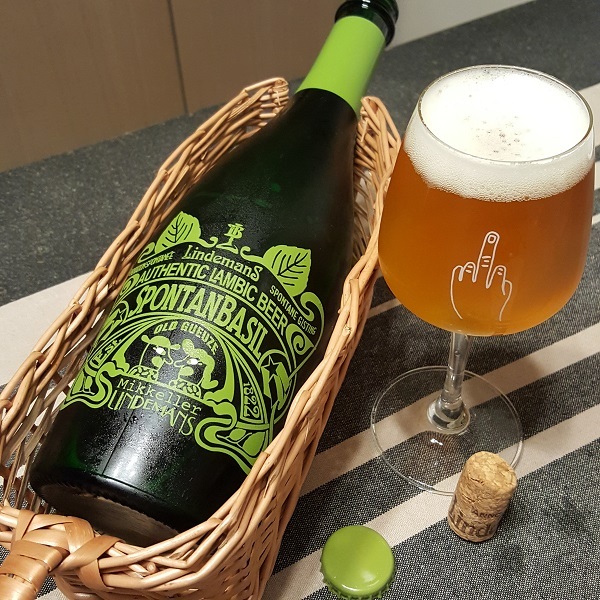 Refermented in the bottle, SpontanBasil has a golden colour and combines the sourness of lambic with the aromas and flavours of fresh basil. The ideal aperitif, also perfect for food pairing. Intro: A 750ml bottle, bottled in February 2015. Poured into a Mikkeller tasting glass. Appearance: A mostly clear golden orange colour with a just under two finger white head that had decent retention and eventually settled to a thin layer with lots of nice lacing. Aroma: Extremely herbal with lots of basil and perhaps a hint of lemon and mint. This was surprisingly well combined with some nice funk, oak and hay. Taste: Sour, basil, lemon, peach, apricot, oak, lemongrass, hay with a light funk. Mouthfeel: Light bodied with moderate to high carbonation and a dry finish. Overall: This was much better than expected. 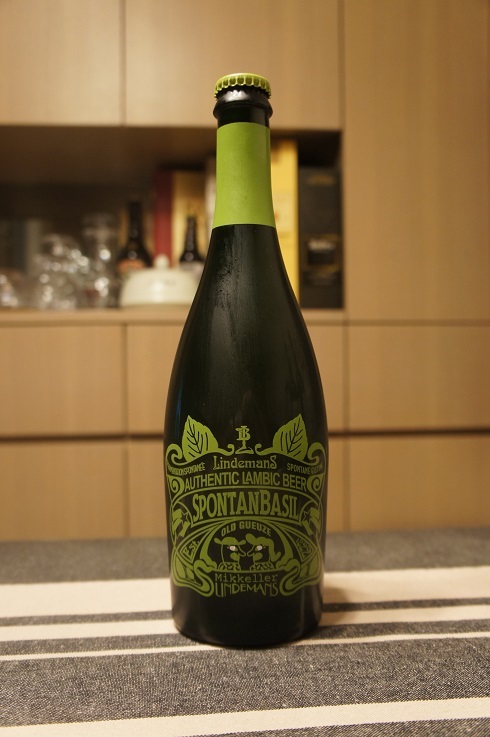 I’m usually a little weary about herbally flavoured beers, so the name SpontanBasil does nothing to settle my doubt. But upon getting a whiff of that aroma and tasting it, I found the funk and herbs combined well together and was very enjoyable. Very nice to drink.